Hello! Today I'm back with a recreation for another of the lovely UK nail ladies birthdays, this time for Caroline Archer (@caroline_archer over on Instagram). 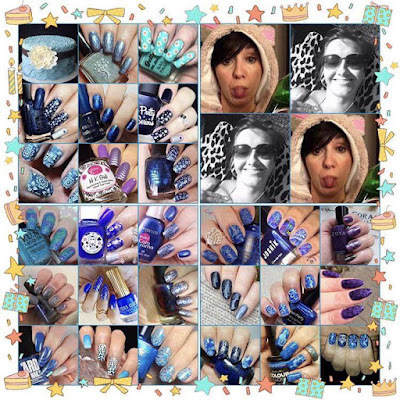 I was invited by another lovely Caroline (@tinkerbell1970s) into a collab to recreate some of her manis. Here's the full collage pic. Read on for a look at my contribution! Before I start, here's a quick look at Caroline's original design. Now for my recreation. 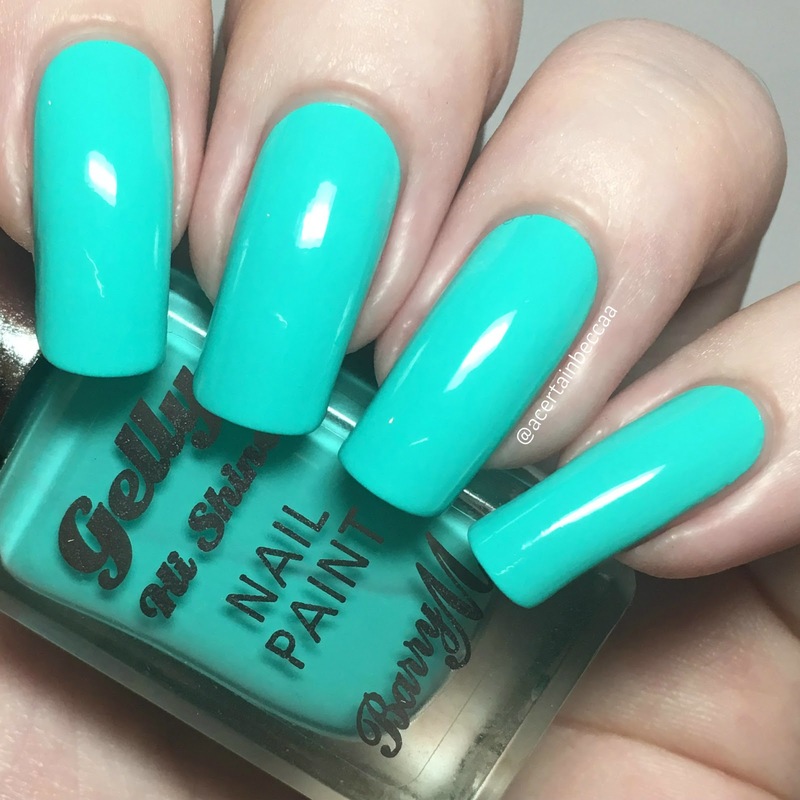 I started with a base of Barry M Gelly 'Green Berry', the same polish Caroline used. 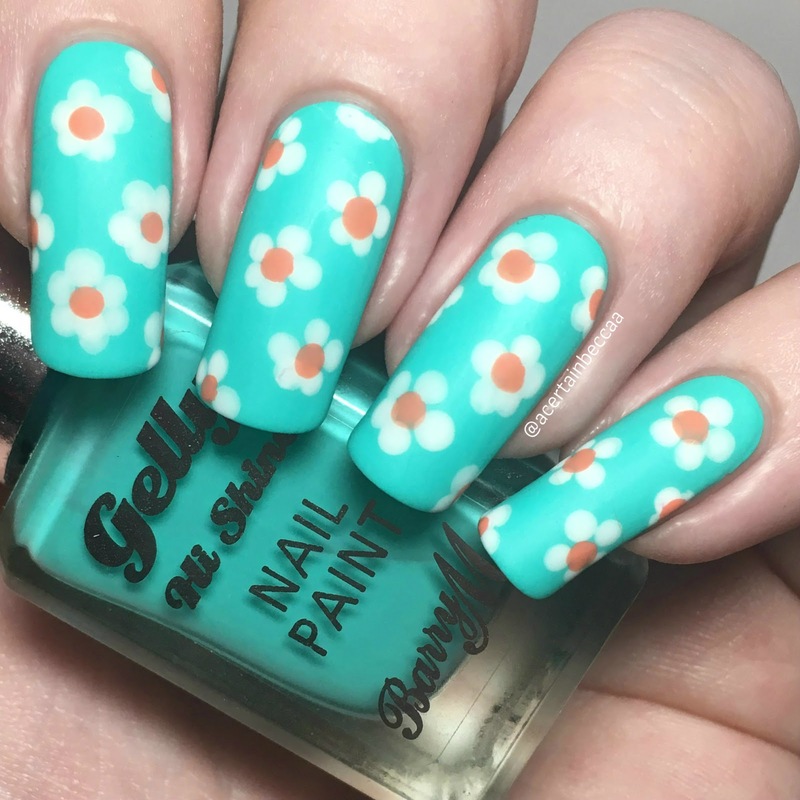 This was one of the polishes back in August's Boho MeeBox. 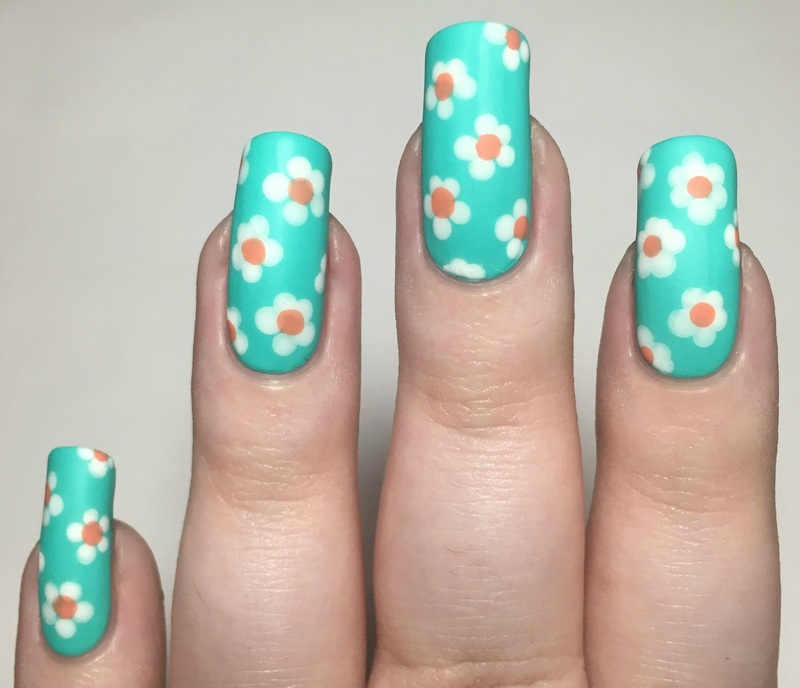 I have already swatched it here, but here's an updated (and improved) swatch picture - shown without topcoat. As mentioned in my previous swatch, this does not like to photograph accurately. It is much greener in person. 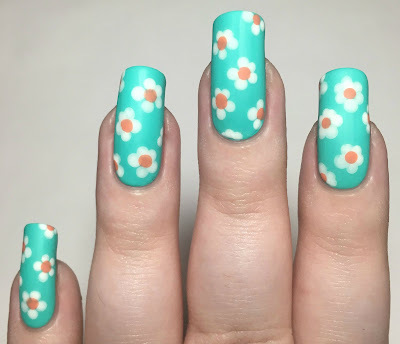 I then added my flowers using a dotting tool. 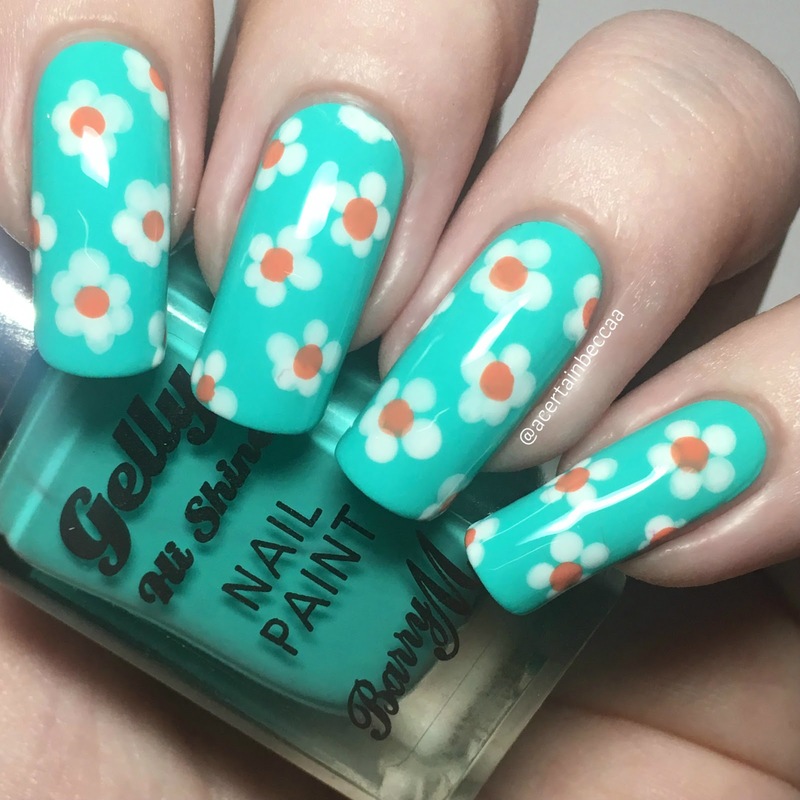 I made each flower by doing a circle of white dots, followed by a dot of Barry M 'Papaya' in the middle - again, the same polish that Caroline used. 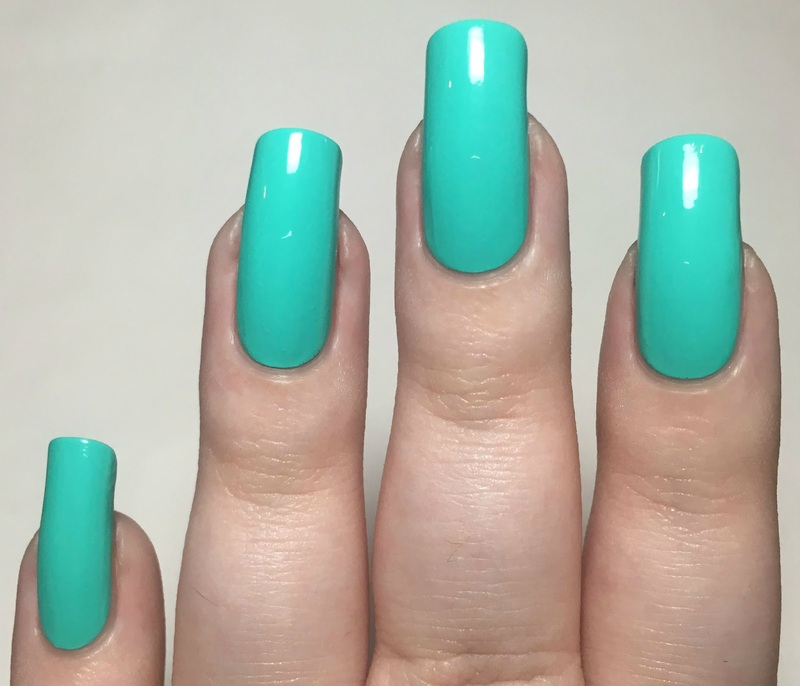 Finally, I added a coat of Barry M matte topcoat. What do you think? 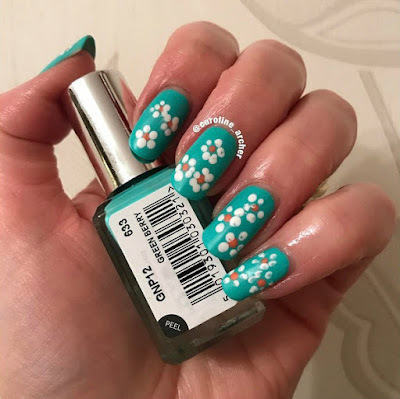 It's such a pretty design, and I love the colour combination that Caroline chose - it's perfect for Spring! 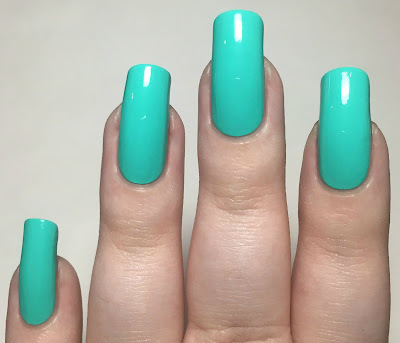 I also really like them matte. 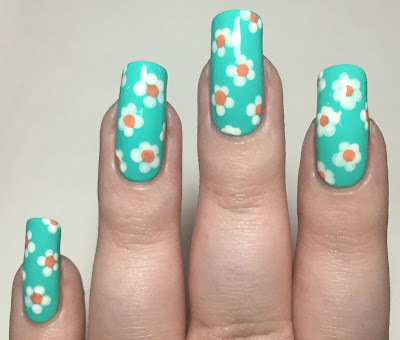 I realise that my last two posts have featured flower nail art looks, I'm clearly in a flowery mood! We've just had the first warm weekend in what seems like forever, so I'm all for brighter colours and pretty flowers. Happy Birthday Caroline! Make sure you go out check out her Instagram here and show her some love.